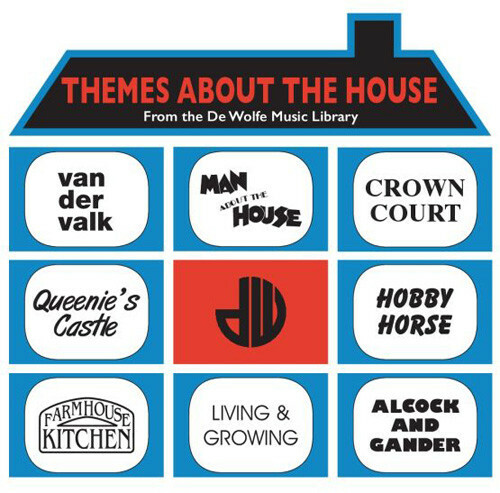 THEMES ABOUT THE HOUSE-FROM THE DE WOLFE MUSIC LIBRARY-RECORD STORE DAY EDITION. Label: Chichester Hospital Broadcasting Association. Usually, Record Store Day is one of the highlights of the musical calendar, and for many record buyers it’s like Christmas Day all over again. Sadly, this year, not everyone got caught up in the excitement of Record Store Day 2018, and was willing to queue overnight to secure a pile of limited edition releases to add to their collection. It seemed that this year more than any other, Record Store Day had its fair share of critics who all wanted to have their say on what’s one of the biggest day in the musical calendar. This year, several independent record companies decided not to participate in Record Store Day 2018, and rather than keep their counsel, were highly critical of the event for a variety of reasons. One record company called the event was a “charade” while others said that Record Store Day was now a nothing more than a money-making exercise. Sadly, they weren’t alone in turning their back on Record Store Day 2018. Many record buyers decided to forego the delights of Record Store Day 2018, citing the price of the forthcoming new releases and the recent poor quality of vinyl pressings. However, the main reason many record buyers gave for eschewing the embarrassment of riches that awaited record buyers on the ‘21st’ of April 2018 was that Record Store Day 2018 had descended into a money-making exercise. Those that turned their back on Record Store Day 2018 missed out on the 500 copies of Themes About The House-From The De Wolfe Music Library which was released by Chichester Hospital Broadcasting Association which was raising money for a good cause. All the profits from Themes About The House-From The De Wolfe Music Library go towards the running costs for Chichester Hospital Radio, which provides a daily service to patients at St. Richard’s Hospital, Chichester, West Sussex. This is something that the Chichester Hospital Broadcasting Association have been doing for several years in an attempt to raise much-needed funds. 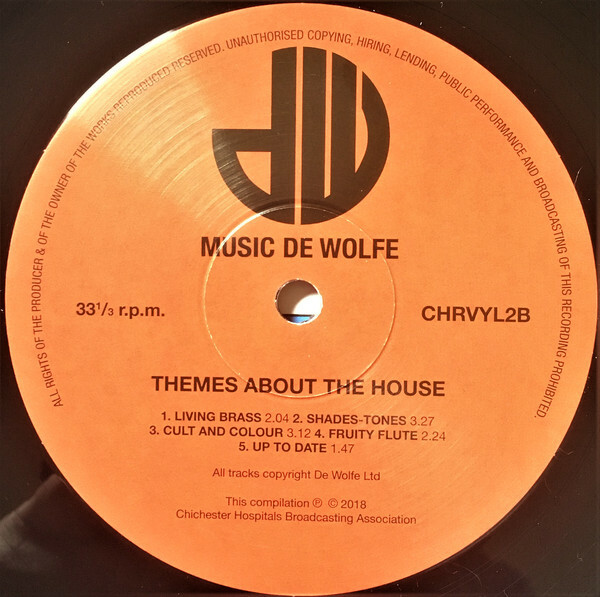 The latest release is Themes About The House-From The De Wolfe Music Library which was lovingly compiled by Steven Willis, who was able to dig deep into the vaults of the De Wolfe Music Library for twelve tracks that are part of a nostalgic musical journey. The twelve tracks on Themes About The House-From The De Wolfe Music Library are instantly recognisable examples of library music. Nowadays, De Wolfe Music is the longest running independent film and television music library in the world. The story of De Wolfe Music began at the turn of the ‘20th Century when Meyer de Wolfe a graduate of the Dutch Royal Conservatoire of Music, left his home in the Netherlands, and moved to London to work as a musical director, composer, musician, arranger and conductor with the Provincial Cinematograph Theatres Limited. However, in 1909, Meyer de Wolfe decided to found his own company. This was De Wolfe Music which was founded in 1909, and initially, was responsible for selecting the music that accompanied the films showing within the late-Edwardian Cinemas. The music was printed as sheet music, and played by musicians who provided the accompaniment to the action on the silver screen. However, all this would eventually change. In 1927, the advent of “talkies” saw De Wolfe Music found its library of recorded music, which now includes 80,000 recordings. Initially, De Wolfe Music started recording with the sound-on-disc technique and then the sound-on-film, with the resulting recording becoming part of the nascent music library. By the thirties, De Wolfe Music began recording music that would be suitable when newsreels were shown in cinemas across Britain and Europe. This would be the case right through to the sixties. Just after the outbreak of World War II, Meyer de Wolfe’s son James de Wolfe, joined the family company in 1940. Two years later, he was called up by the RAF and served between 1942 and 1947. On his return home, James de Wolfe helped to build De Wolfe Music and helped the company expand into North America. De Wolfe Music joined forces with two film editors from Paramount Pictures called Corelli and Jacobs. This was the start of a new era for the company. For De Wolfe Music and the other British library music companies, the birth of television in the mid-fifties was a game-changer. No longer was classical music which had long been a staple of their business as popular amongst their clients. This resulted in De Wolfe Music deciding to diversify into library music publishing after there was a huge demand for music to provide the soundtrack to radio, television and film. For the musicians hired to record library music, their remit was to provide companies like De Wolfe Music with a steady stream of new music, which was originality referred to as production music. During some sessions, the musicians’ remit was write and record music to match themes or moods. This wasn’t easy, but after a while they were able to this seamlessly. Soon, the musicians were able to enter the audio and write and record a piece of music that matched a theme or mood for a film or television show. Once the library music was recorded, record libraries like De Wolfe Music sent out demonstration copies of their music to production companies. If the production companies liked what they heard, they would license a track or several tracks from the music libraries. That was how it was meant to work. Often, the music recorded on spec by library companies was never licensed. Since then, many of the tracks have lain unheard in the vaults of music libraries like De Wolfe Music. That was no surprise, because during the sixties and seventies, which was the golden age for library music, and indeed De Wolfe Music, when a vast quantity of music was recorded in the hope that it would be licensed and used in films, television or radio. Sometimes that proved to be the case; especially during the sixties and seventies, when the music created by these groups of largely anonymous composers, musicians and producers provided the soundtrack to some of the biggest television programmes on British television, to cartoons, current affairs to quiz shows. Many of these themes became part of the soundtrack to British life and are fondly remembered by a generation of adults. However, not everyone in Britain was a fan of library music. This includes the ten tracks that feature on Themes About The House-From The De Wolfe Music Library. 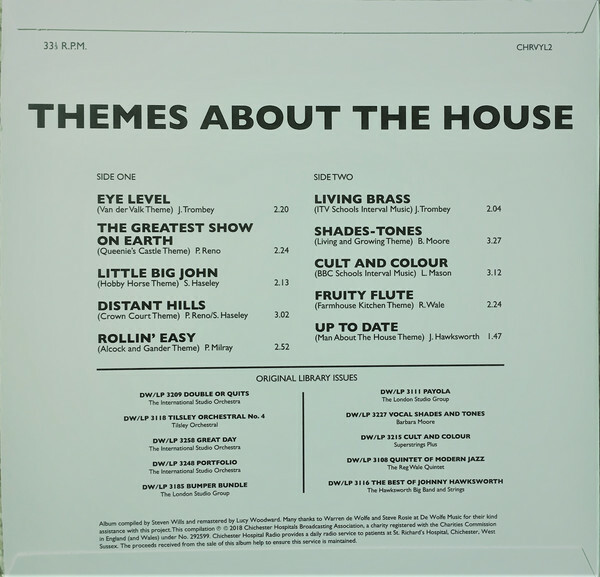 Side one of Themes About The House-From The De Wolfe Music Library opens with The International Studio Orchestra’s recording of Eye Level which was penned by Jack Trombey which was the moniker of Dutch composer Jan Stoeckart. Eye Level became the theme to the Dutch detective series Van Der Valk when it made its debut in 1972 and was a surprise hit single in 1973. Alas that wasn’t the case with Peter Reno’s The Greatest Show On Earth which was recorded by the Tilsley Orchestral and featured on their 1969 album Tilsley Orchestral No. 4. The Greatest Show On Earth went on to become the theme to Queenie’s Castle between 1970 and 1972. The International Studio Orchestra’s recordings were popular among program makers, and their recording of Simon Haseley’s Little Big John, which became the theme to Hobby Horse. Peter Reno and Simon Haseley wrote Distant Hills which was recorded by The International Studio Orchestra and became the theme to the lunchtime courtroom drama Crown Court. Another stalwart of library music was composer Jan Stoeckart who used a variety of monikers including Peter Milray who wrote Rollin’ Easy which was recorded by The London Studio Group. It featured on The London Studio Group’s album Bumper Bundle which was released in 1971 and became the theme to Alcock and Gander which appeared on British television screens in 1972, which featured Beryl Reid and Richard O’Sullivan. Alas, the program was short-lived and lasted just one series. The London Studio Group open side two of Themes About The House-From The De Wolfe Music Library with another Jack Trombey composition Living Brass. 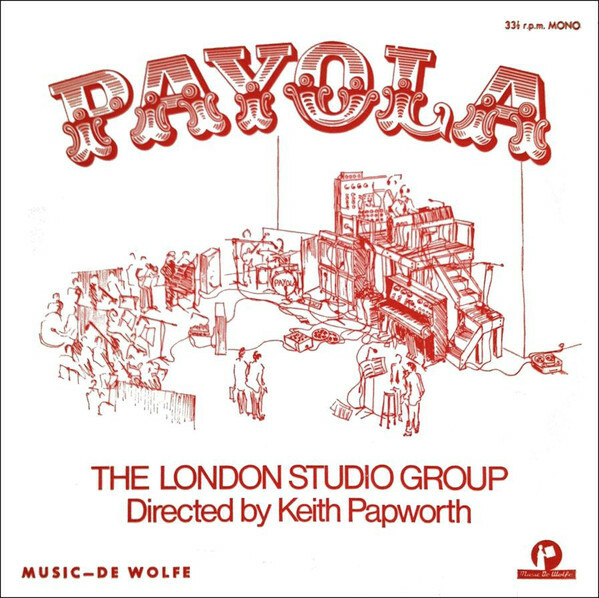 It featured on The London Studio Group’s album Payola which was released in 1969. Living Brass is sure to bring back memories for British school children who remember the track as ITV Schools Interval Music. 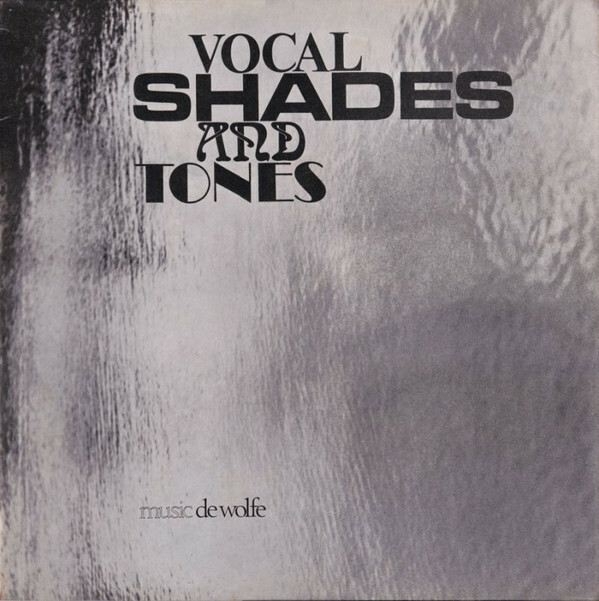 Barbara Moore recorded the album Vocal Shades And Tones for Music De Wolfe in 1972, and on the album was one of her own composition Shades-Tones. It became the theme to Living and Growing which was another program for schoolchildren in Britain. Peter Moore adopted the name Lee Mason when he wrote Cult and Colour which was recorded by Superstrings Plus and became the title-track to their 1971 album. 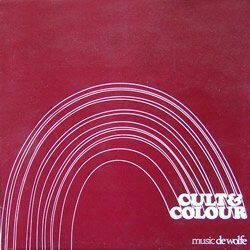 Later, Cult and Colour became the BBC Schools Interval Music, and is remembered by a generation of British schoolchildren. In 1969, The Reg Wale Quintet released the album Quintet Of Modern Jazz, which featured the Reg Wale composition Fruity Flute. It became the theme to Farmhouse Kitchen between 1971 and 1990, which introduced the nation to the delights of rural cuisine. Closing Themes About The House-From The De Wolfe Music Library is Up To Date which was recorded by The Hawksworth Big Band and Strings and featured on the 1969 album The Best Of Johnny Hawksworth. Four years later, in 1973, Up To Date became the theme to Man About The House which starred Sally Thomsett, Richard O’Sullivan and Paula Wilcox and ran for six successful series. Themes About The House-From The De Wolfe Music Library is a nostalgic trip down memory lane and will bring back memories of life in the seventies. There’s library music from dramas, detective programs, school’s television and sitcoms and were part of the soundtrack to the seventies. However, a generation later, a new generation discovered the delights of library music. This included a small coterie of record collectors, plus sample hungry hip hop producers, DJs and compilers. Suddenly, library records were in demand, and some were changing hands for large sums of money. That was no surprise, as the library records recorded by companies like De Wolfe Music featured a myriad of hidden gems and musical treasure. Suddenly, this little known and unfashionable genre of music was fashionable and independent record companies were releasing compilations of library music. Many of these compilations feature tracks that were recorded by unknown or up-and-coming musicians and have lain in the vaults of library music companies for many years. That isn’t the case with Themes About The House-From The De Wolfe Music Library which was released by Chichester Hospital Broadcasting Association and is a nostalgic romp through the seventies that is guaranteed to bring memories flooding back of courtroom dramas, cop shows, cookery programs, sitcoms and even school’s television. ← BELGIAN NUGGETS 90s-00S VOLUME 2.